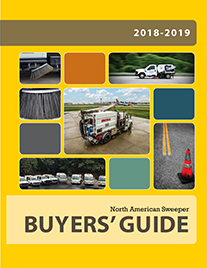 For the month of January we put the Spotlight Feature on Hamilton Maintenance Corporation and Hamilton Manufacturing, a well-sized and well-equipped sweeping company from Duluth, GA, that only uses custom-designed power sweeper trucks in its operations. We spoke with Mr. Lamar Hamilton, proud CEO and owner of Hamilton Maintenance and Hamilton Manufacturing in order to gain insight into the company’s various operations, as well as the company’s custom-built equipment. Q: Can you tell me a little bit about your background? How did you get into the business? Why did you get into the power sweeping and other related businesses and services? What did you do before you started your own business? I have been in commercial shopping center maintenance for over 25 years. I landed my first large commercial lawn maintenance job, which included servicing 11 retail shopping centers. I was approached by that customer whether I have ever considered sweeping parking lots. That question put an idea in my head and I decided that it would be worthwhile and I purchased my first sweeper, a used Tenant riding sweeper. From that I bought my first truck sweeper. After a few years I bought another sweeper, then another. After a while I had 14 sweepers in my fleet. As my business grew and developed in the power sweeping industry, I decided to cut back on lawn maintenance, but also started asphalt repair specializing in pot holes. Q: How many contracts/customers do you serve weekly on a regular basis? We service over 160 shopping centers on a regular basis. 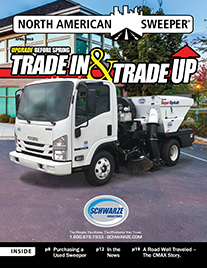 We now have 24 trucks in our fleet consisting mostly of Isuzu parking lot sweeper trucks, and some F-350 dump trucks that serve as day porter and asphalt repair vehicles. Q: Can you please speak to the types and kinds of growth that your business experiences? Are there patterns you have recognized? What problems have you faced, and how have you handled them? We have had steady growth over our entire history. I believe that steady, controlled growth is the best. The only consistent problem that I confront on a regular basis is the same as others, finding good long term employees. The problem seemed to get worse in 2008, when the economy slowed down, it seemed that when other industries cut back on their labor force, it flooded the labor pool with a mixture of mixed skilled applicants, which in turn gives me 300 plus resumes each time I place a help wanted ad. Q: How to you secure new customers? What is your bidding process? Do you have anchor clients and then branch out around a particular area? What is the general size of most of your contracts? Most of my new business comes from referrals; our bidding process is touring the property both in person and aerial views via our GPS system. Our bids are based on actual time needed for job completion. Most all of our customers are retail shopping centers of all sizes. We also only work for center owners or their management companies. We never work with or for third party venders! Q: Tell me what products or services you have added on recently. Why those products or services? 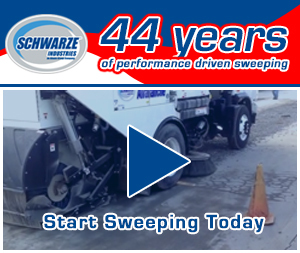 We have been building our own sweeper trucks for over 10 years now. 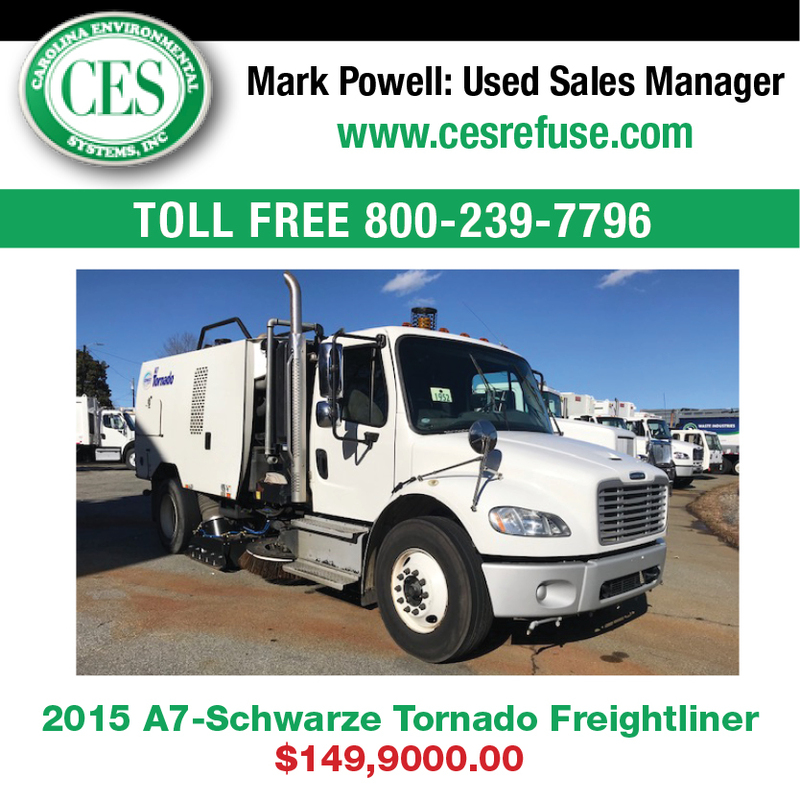 We are now offering our custom built sweeper trucks to other sweeper companies. I knew what I wanted in a truck. It had to be powerful, built for my special needs, and most of all had to be easy to use, service and maintain. Our first truck was massive, it had an 87hp Kubota diesel engine and one of the largest fans ever installed on a parking lot sweeper. It had the power to vacuum up a house brick, or sweep a parking lot at a near idle, and could fill the hopper completely full without clogging up. That truck is still in our fleet today after 12 years and 450,000 miles, still with both the original engines and fan. 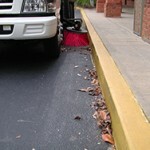 Over the years we have built a good many sweepers for ourselves as well as for other contractors. We custom build each truck to the owners specifications and needs. Q: How much of an eye do you keep on new and emerging technologies that could change/modify how you and your competitors do business and provide the best services? We are always watching new technology when it comes to our equipment. We have noticed that gasoline engines are now so advanced over the ones 15 years ago, that we no longer buy diesel units for our fleet. First the initial cost is approx $12,000 less. And our gasoline fleet units get over 350,000 on its main engine life expectancy. (with proper maintenance) Most of all, working in noise ordinance locations, the gasoline trucks are so much quieter. Also the Isuzu cab-overs are by far the easiest to service and maintain. Q: I am interested in all of the employees that work for the company. Who works at the company? What are their titles (managers, administrative, drivers, truck mechanics, technicians, etc.). Some of our employees have been with us over 20 years. Our drivers conduct a daily pre-trip inspection on their trucks before they are allowed to leave the shop. We have mechanics that handle the daily maintenance on the trucks during the day; and each mechanic has a specific job function and specialty. Tire replacement and rotation is handled by a certain individual, just as brakes and engines area by another. Tires and brakes are at the top of our list on safety. 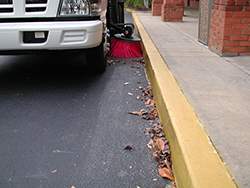 Any repairs to the sweeper units are handled by the manufacturing crew. Our employees are awarded new trucks that are placed in our fleet based on the daily care that they take in them. The drivers that take the best care of their truck, get the newest trucks that now are coming loaded with options for their comfort. This has been a great incentive on keeping our trucks clean and well taken care of. My senior drivers train the new employees, but I always allow the new employee to ride along with several senior drivers so they can learn different methods and have a better understanding of how other employees work habits and ideas affects the entire operation. Each employee has an assigned truck that only they use. That way they feel more dedicated to it’s upkeep as well as more responsible for its use. I feel that if you make the employee feel more in control of his own route and truck, they will give better service to both, which in turn means a more satisfied customer. Q: Can you give me a sense of your huge fleet of vehicles? Well, the truck building process at Hamilton Manufacturing is different than most. Each truck is hand built to order. This process takes longer, but the outcome is that each customer had his/her sweeper tailored to their own use. We use only the finest parts and materials available. The building starts when the customer’s order is placed. We send digital photos of the entire build process to the customer so that they get to watch the building of their unit from start to finish. When the unit is ready for delivery to the customer, the training and operation of the unit is gone over with the technicians that built the truck. We have designed and built the unit so that most parts, filters, belts, etc. can be purchased locally by the customer, that way. Plus, there is no extra down time waiting on custom parts and so the client can go right back to work. All of our trucks have been designed so that the daily service is very operator friendly. Items such as oil changes, replacement of belts, switches, etc, have been designed so that they take only minutes, not hours. To learn more about Hamilton Manufacturing and their “TITAN” sweeper trucks, you can visit www.Hamiltonmanufacturing.com, or to see the most recent units currently being built, they can find us on facebook under “Titan Sweepers”. You can also visit: Hamiltonmaintenance.com for more on the sweeping division.